More to come. At the Panther Junction ranger station and gift shop I found this book —I recommend it strongly. 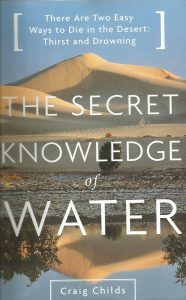 A desert explorer worked for (I think) the Forestry service tracing out waterholes in remote US deserts, many adventures, wonderful writing. More pictures later. 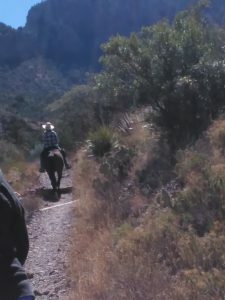 This is the first time I was on the Chisos Mountain trails, mainly up to Laguna Meadows. Hikers were endless. We met people about every mile, groups. They got off the trail for us although we tried to give walkers the right-of-way. 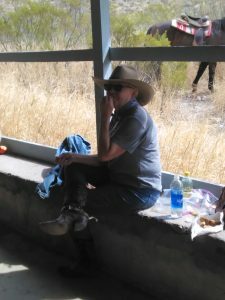 Lunch at an abandoned ranch house. On the Laguna Meadows trail. This entry was posted in News on February 28, 2017 by admin.